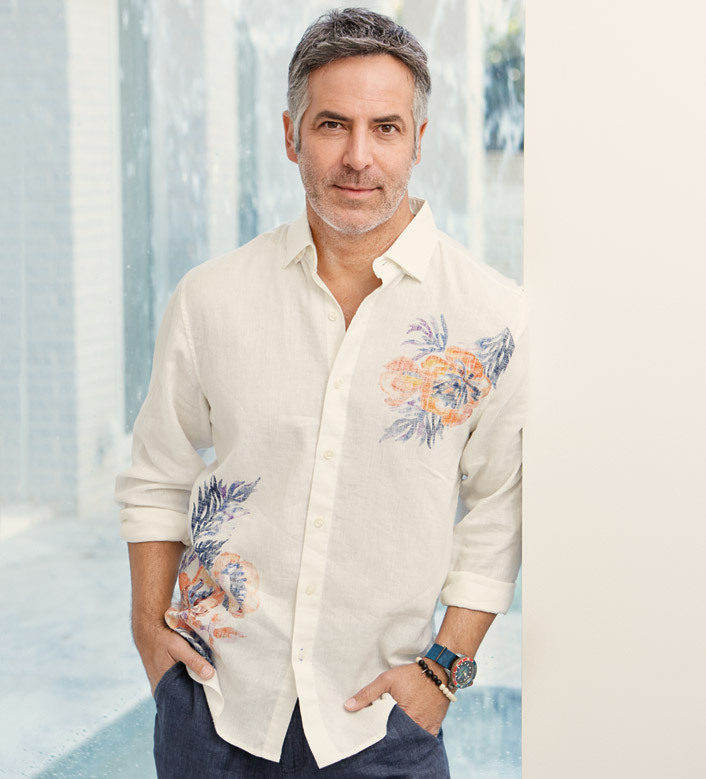 Exotic blooms on a luxe, linen, stretch blend. Long sleeves, hidden button-down collar. 65% linen/35% Sorona polyester. Machine wash. Imported.